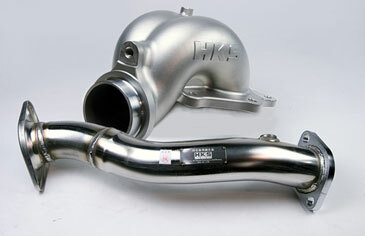 HKS has released a cast turbo housing and front pipe for the 09+ Evo 10. The new turbo housing increases volume by 25% increasing horsepower and torque in the entire RPM range. 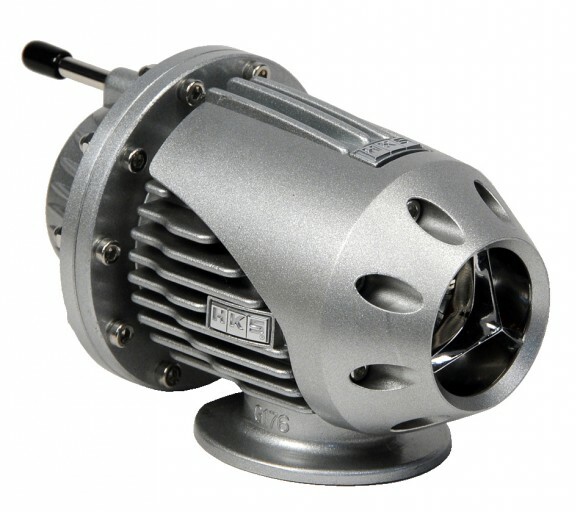 ● The stock turbine offers a compromise between low RPM response and mid-range power. In the higher RPM range, power may feel limited due to increases in backpressure. 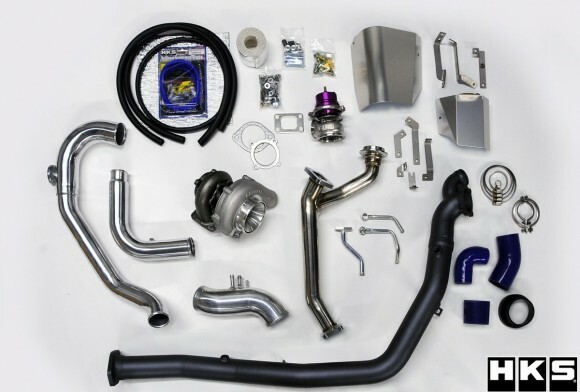 By improving exhaust efficiency with the GT Extension kit, boost pressure will increase earlier and maintain its increase in power and torque throughout the entire RPM range. ● Constructed of stainless steel, a Lost-Wax or Investment Casting process was used to manufacture the ideal shape of the extension housing based on CAD design. This process eliminates the need to weld 2 pieces of material together reducing the chances of cracks and failure due to heat. The smooth surface of the lost-wax casting process assists in the flow of the exhaust gas while ensuring durability and reliability. ● The GT Extension kit features two separate ports for the turbine impeller and the wastegate actuator. By utilizing two independent ports, HKS has been able to reduce the exhaust interference caused by single-port extension housings. The result is a smoother exhaust flow and a reduction in backpressure enabling improved boost response and consistent turbocharger boost levels throughout the RPM range. ● The GT Extension kit replaces the factory extension housing and includes a front pipe that bolts up to the factory catalytic convertor. 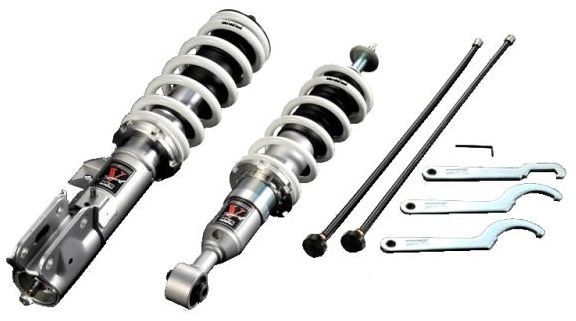 To reduce vibration caused by one piece front pipes and to improve durability, the HKS GT Extension kit connects to the front pipe utilizing the factory ball joint gasket. To further compliment the GT Full Turbine Upgrade, HKS has also released a new R Type Front Mount Intercooler to handle cooling duties. 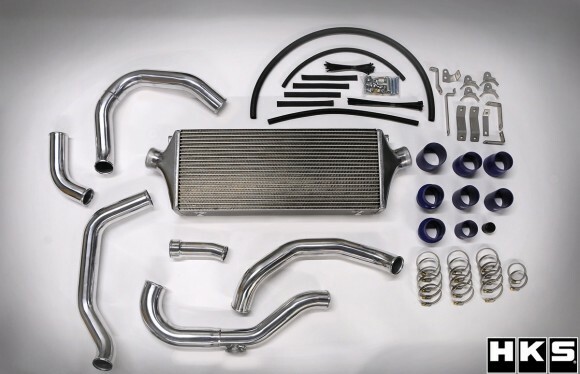 The intercooler core is a whopping 600mm x 255.6mm x 103mm and includes all necessary piping and couplers for a complete install, although some bumper modifications may be necessary. HKS, as an arm dealer in the performance war has proven once again they have no loyalties to any automaker and will support both sides of the battlefield. 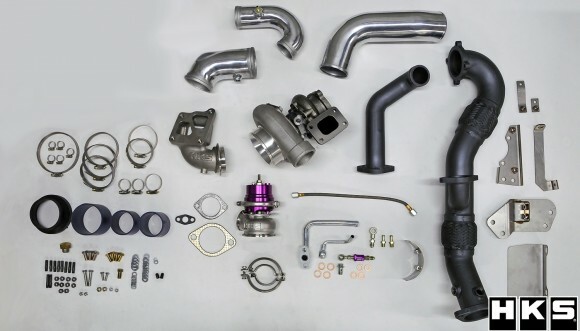 Not even a week after releasing a GT Full Turbine Kit for the WRX STI – HKS has released a comparable kit for the Mitsubishi Evo X.
HKS Super SQV (Sequential Blow Off Valve) Version 3 uses a unique sequential valve structure and a differential pressure control system, which allows for a broad operating range from low boost to high boost. Its Pull-Type relief design ensures stable operation regardless of the amount of boost pressure. The Super SQV Version 3 will support new generations of turbocharged vehicles. Silver-coated aluminum die-cast body. Combines the ultimate in looks and durability in the engine compartment . HKS Super SQV Kits are available for a full range of vehicles as well as Universal Applications. 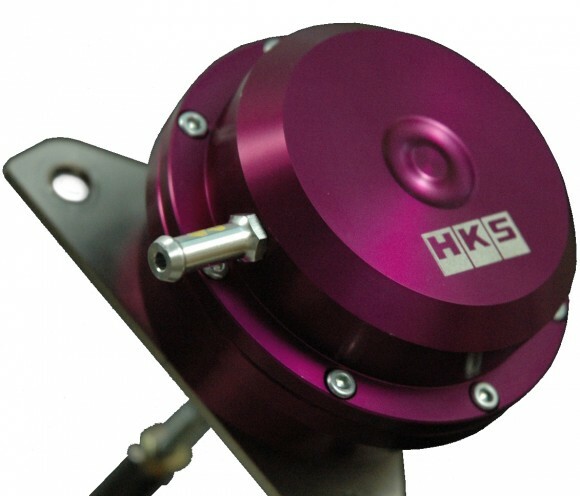 Get your boost under control with new the HKS GT Wastegate Actuator Upgrade Kit. A Single port actuator with a large diameter diaphragm enables boost stability and increased boost response at higher rpm ranges. Turnbuckle type rod end enables boost level adjustment without the removal of rod end from the crank arm of the turbine. 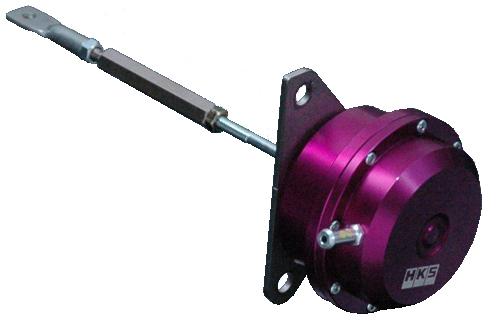 The actuator case is constructed of billet aluminum with a purple alumite finish. Initial releases include Evolution X and S14/S15 Silvias, but more applications are planned. 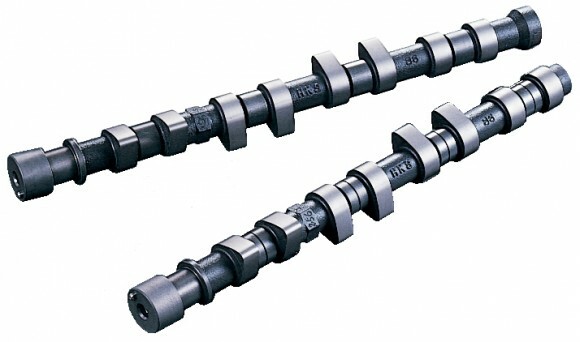 HKS, the leader in import performance has just released a redesigned HKS Step 1 Camshaft for S13 SR20DET Motors. The redesigned HKS Step 1 camshaft provides improved performance above 5,500RPM, enabling a wider power band that continues to redline. Additionally, the newly designed camshaft has an 11.5mm lift that is similar for the Step 2 camshaft, but can still be used with the factory valvetrain and redline.